Accessing your media library from multiple devices can be unnecessarily complicated. 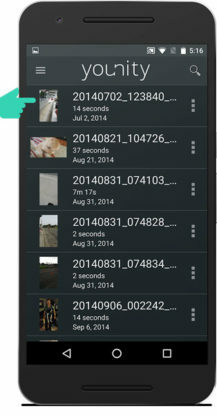 Want to share a photo from your computer to your friends via WhatsApp for Android? Normally, you’ll be spending several minutes moving things around. Want to use your Android device as a remote for streaming media on your PC to your TV? You might not even know where to start. younity, available for Android, iOS, Mac, and Windows, makes these tasks and many others simple. younity is a home media server that distinguishes itself from others in several ways, but most importantly by how easy it is to use. Everyone has their own setup and organization, but most media server apps may require you to change those things in order to function properly. 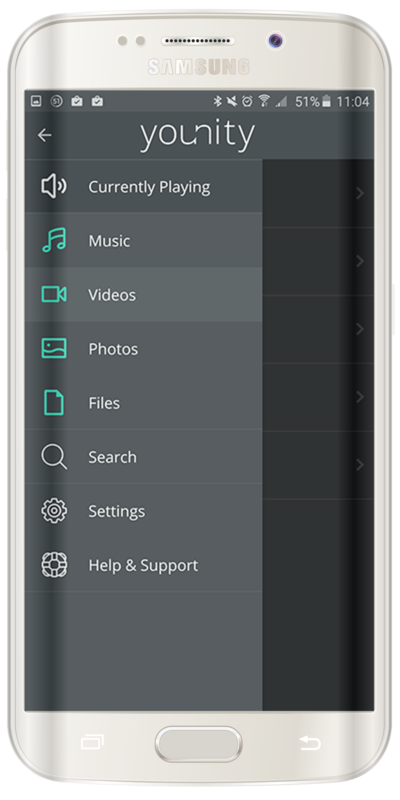 With younity, you can have your media stored on multiple devices, on different operating systems, and organized into any folders you like. Even better, all of these features are absolutely free. Getting started is as simple as downloading younity onto your desktop(s) and the app will quickly index all of your documents and media—no need to tell younity where your items are stored, it will find everything for you. When you want to access those files, for example on your Android device, you will first need to have the younity Android app installed. From there, you will see that younity organizes your media library in an easy-to-navigate interface. 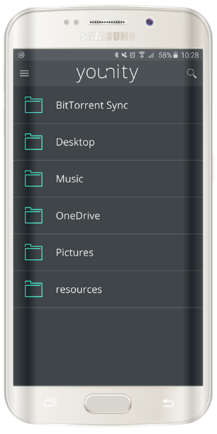 If your media library is spread across multiple computers, that is not a problem as long as each one has younity installed; you won’t need to remember what is stored where when it comes to time to browse on your Android device. Meanwhile, your data is secure. 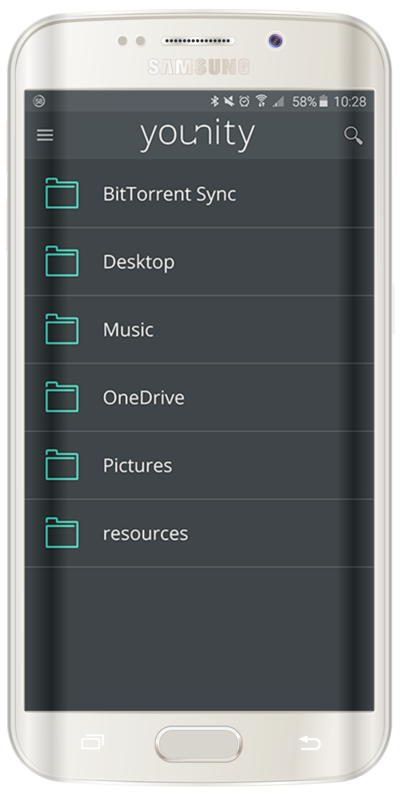 Unlike using a cloud service, your media remains stored on your devices and your devices only. younity does not have access to your stuff, younity merely helps you access your own data in an easy and convenient way. While using younity is quite simple, there are just a couple things to keep in mind when you get set up. The devices you use to access your media as well as the one where your media is stored need to have a Wi-Fi connection, though you can download files for offline use later. The desktop(s) where your library is stored should be plugged into a power source as well, but you do not need to disable screensavers and the like. Let’s explore some use cases so you can really see how useful younity can be. Suppose you have a movie stored on your desktop that you would like to watch on your home TV. You have several options, assuming you have a Chromecast or other means to connect to your TV, like a Roku, Apple TV, or have a smart Samsung TV. 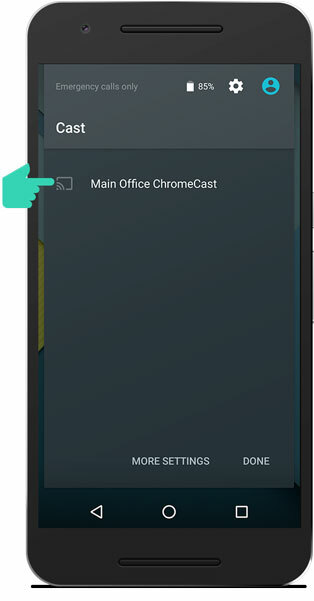 You can cast your screen directly from the younity app to your Chromecast so long as your device is running Android 5.1 or newer. 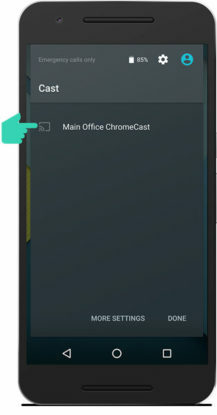 You can also use the Google Cast app if you’re using an OEM-modified OS like Samsung’s. If you are using a Samsung phone or tablet, you can use Samsung Mirroring to stream to a Samsung Smart TV or to Roku. And as another option, you can simply use third-party video players to stream to any number of connected devices. 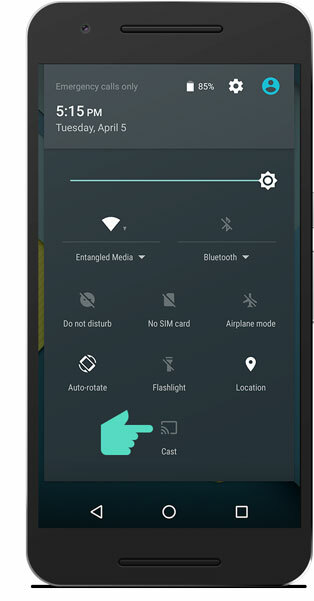 Built-in Chromecast support in the younity app is on the way. You can get step-by-step instructions for streaming to your TV at younity's site. Using your iTunes library on an Android device has been a long-running pain. younity allows you full access to your iTunes content on your Android device, all in its attractive and simple interface. And unlike some cruder solutions, you will even have your playlists. Have multiple iTunes accounts? Just install younity on each desktop computer that has iTunes and younity will do the rest. 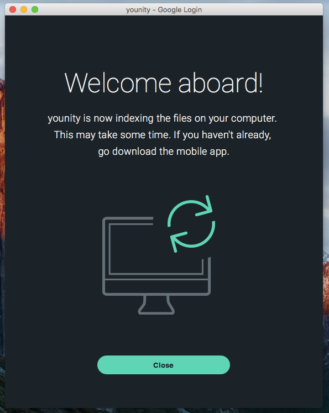 With younity installed on your PC and on your Android device, there is no more work to be done short of allowing time to index your music when you first install. From there, just tap on “Music” in younity for Android and you can navigate your library just like you can on your desktop. Instagram doesn’t want you to upload pictures from your computer. That means your DSLR photos aren’t exactly welcome, even though you know your followers would appreciate a better-looking image. younity provides an easy work-around and one that won’t use up precious storage space on your phone. To do so, just locate the the photo you want to use in the younity app for Android. From there, simply use the share menu to share the image to Instagram. Then you’re done! 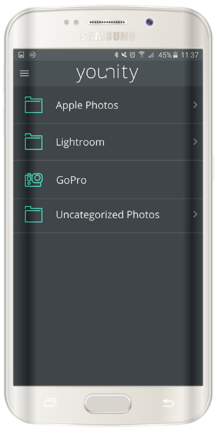 The photo doesn’t stay on your device, which will surely be a relief to those who have very large image files on their PC. younity is totally free, so if any of these features sound appealing there is no reason not to try it out. You can learn more or download the desktop apps for Mac and PC at younity's official site and you can grab the Android app at the Play Store.